Do you need something built, remodeled, or renovated that isn't included in our list of services? Give us a call! Chances are, we will still be able to provide what you need. We have done a wide variety of custom work for clients across the metro Atlanta area and beyond. 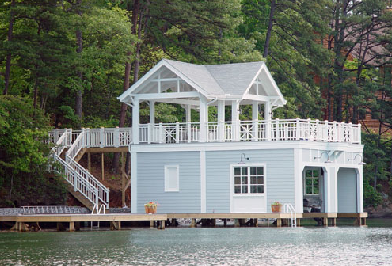 Whether you have a boat and need a boat house, or just need some custom shelving built in your living room, we can do it. We have done home theaters, screened in porches, roofing, and so much more.